Jack Black, Bryan Cranston and J.K. Simmons voice the animated comedy sequel Kung Fu Panda 3. Watch the movie trailer below. 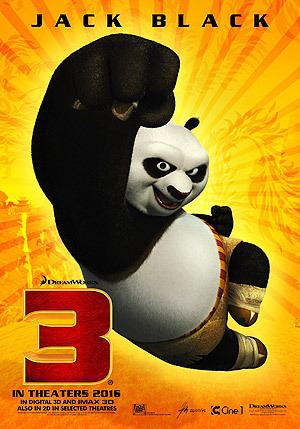 In DreamWorks Animation’s 'Kung Fu Panda 3', Po’s (Black) long-lost father (Cranston) suddenly reappears, but trouble looms when the villainous bull Kai (Simmons) hits the scene. MPAA Rating: PG for martial arts action and some mild rude humor.